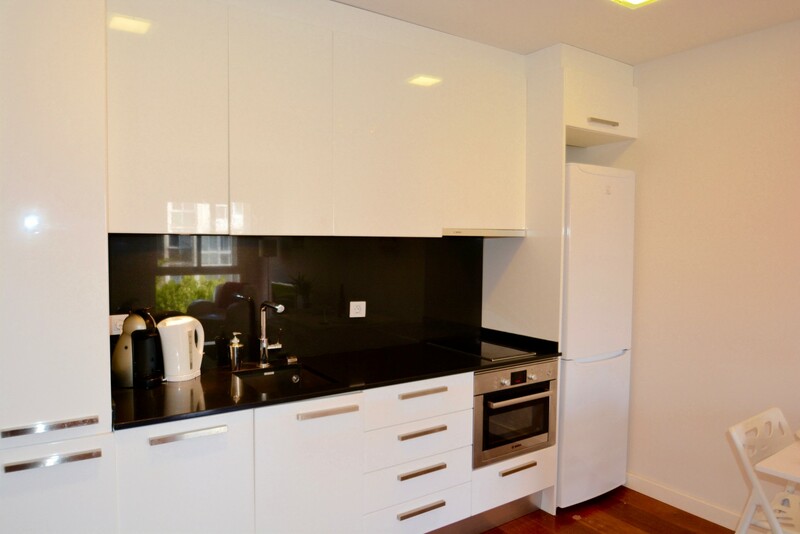 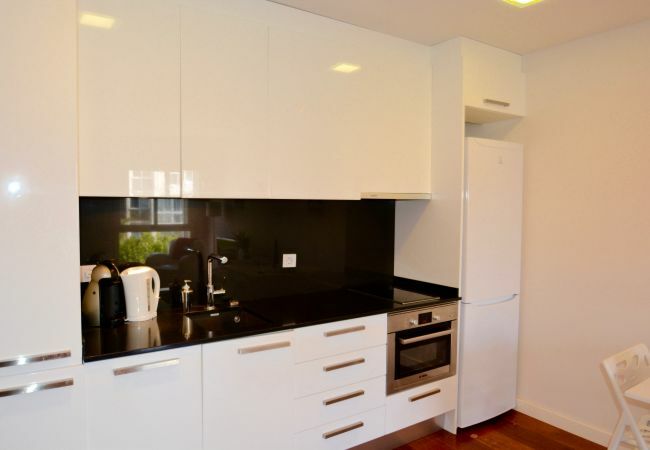 A stunning new one bedroom apartment in a modern block. 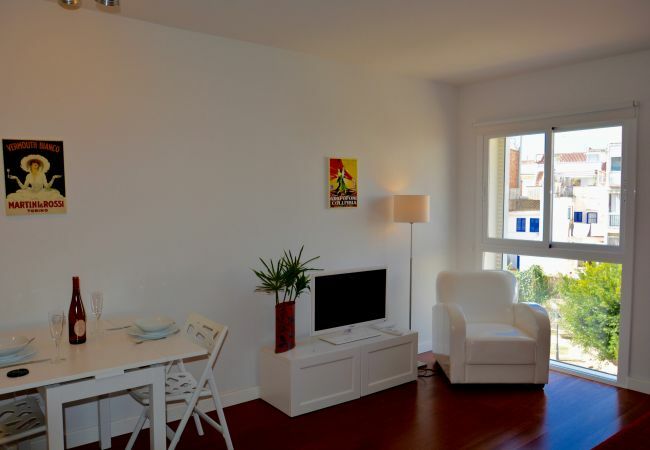 It consists of a beautifully decorated open plan living/kitchen/dining area with window overlooking a small park. 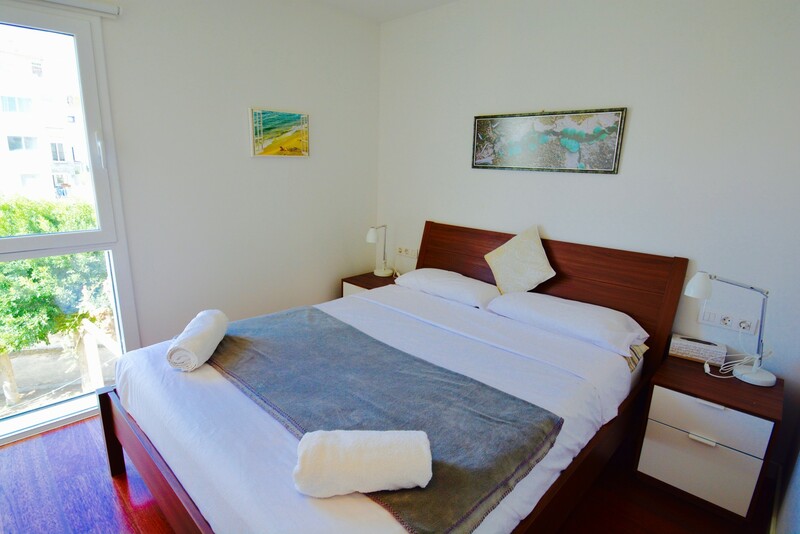 It has spacious double bedroom and a bathroom with walk in shower. 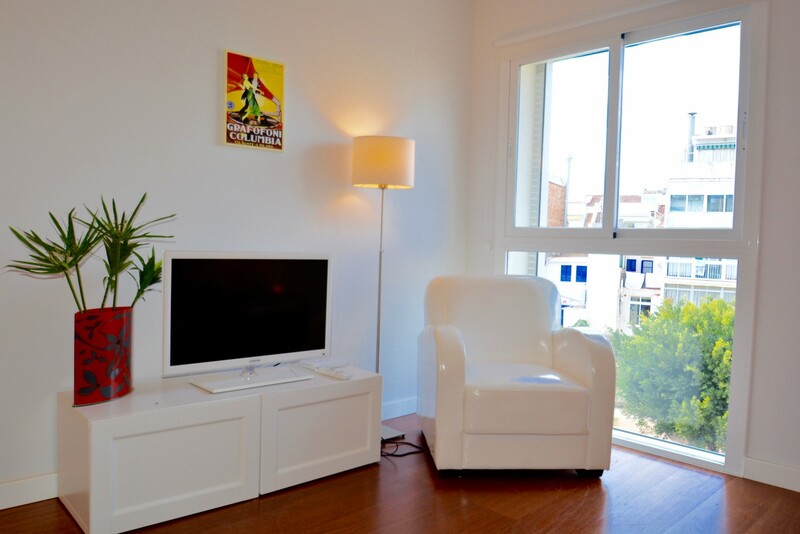 The living area has a comfortable double sofabed, easy chair, flatscreen TV, DVD/Blueray and WiFi internet. 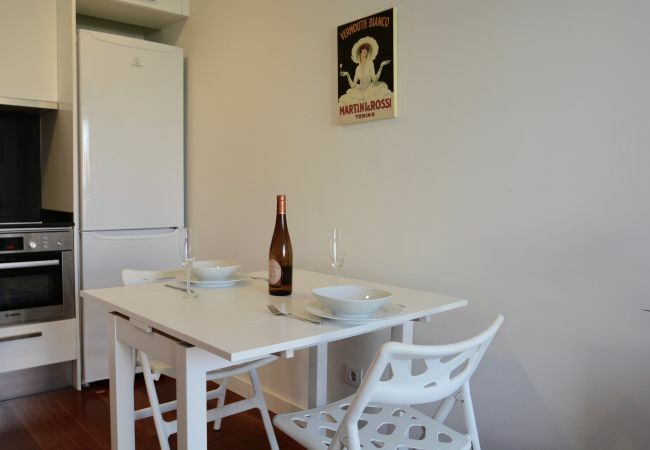 There is a dining table and chairs for 4 people. 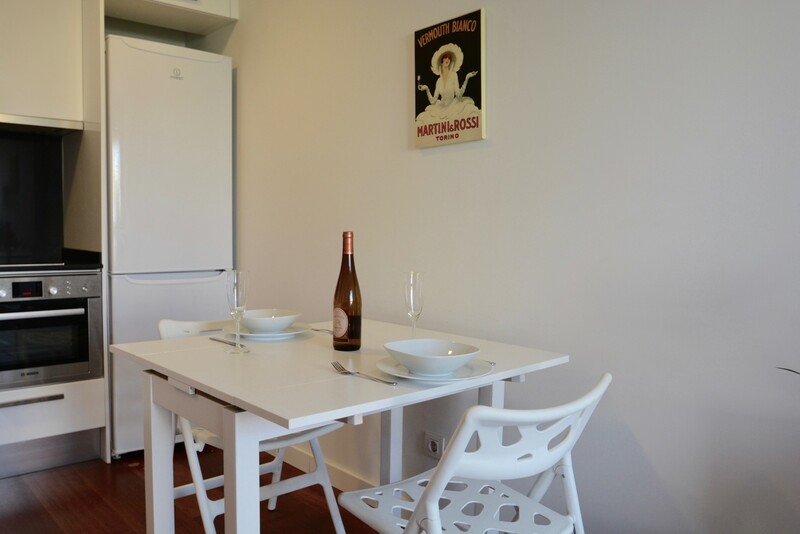 The American-style kitchen has high quality Bosch appliances - washing machine, dishwasher and combination oven and a large fridge-freezer. 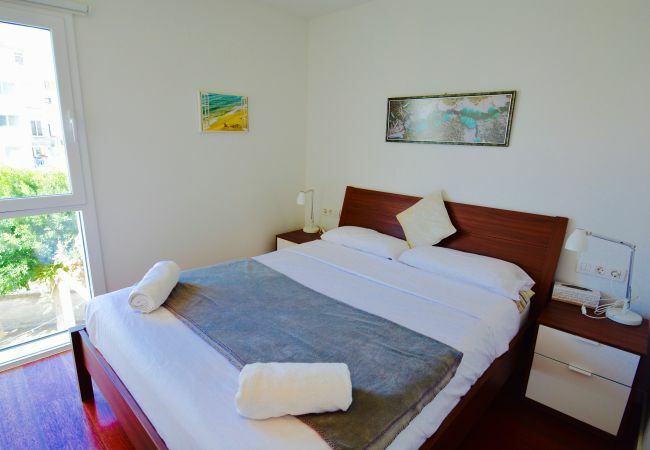 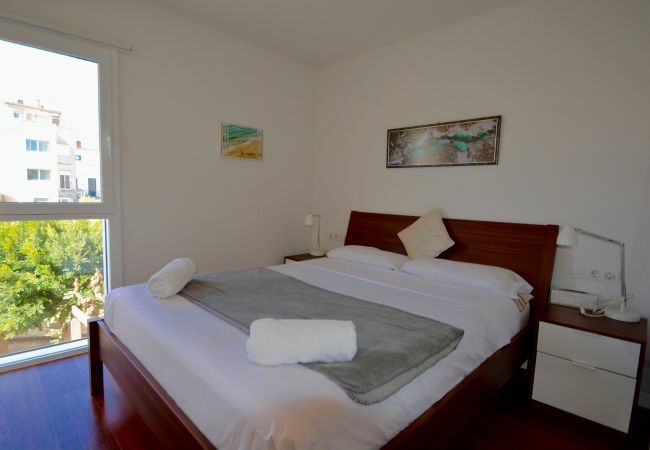 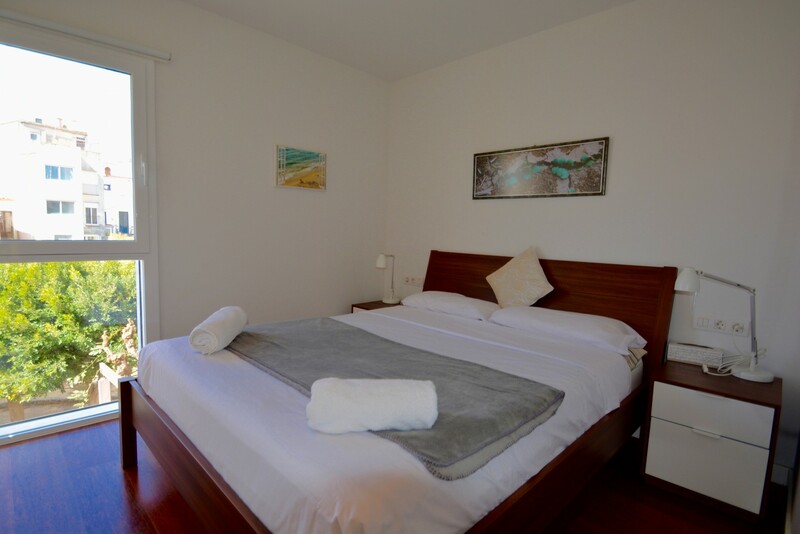 The double bedroom has a new, very comfortable king size bed and plenty of space for everything you require for the perfect break in Sitges. 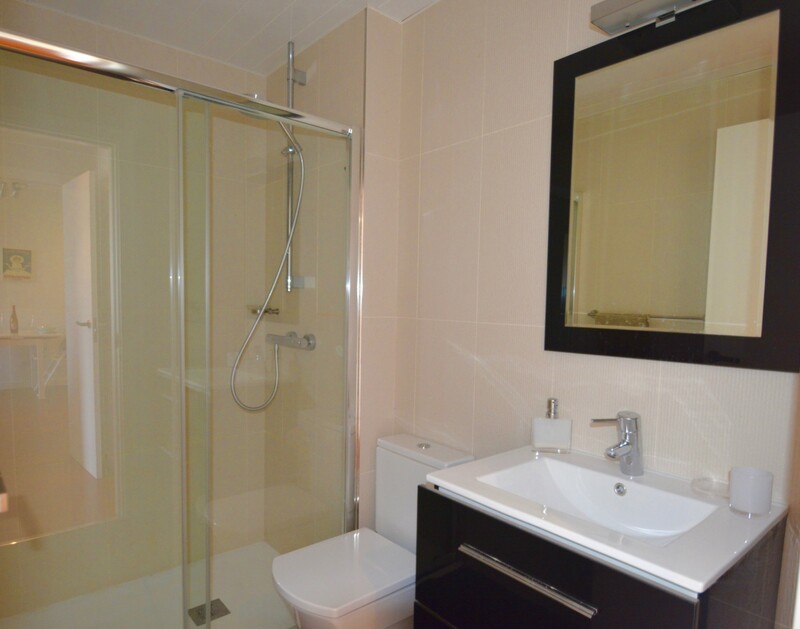 The beautifully tiled bathroom has a modern WC and sink unit and a large walk-in shower. 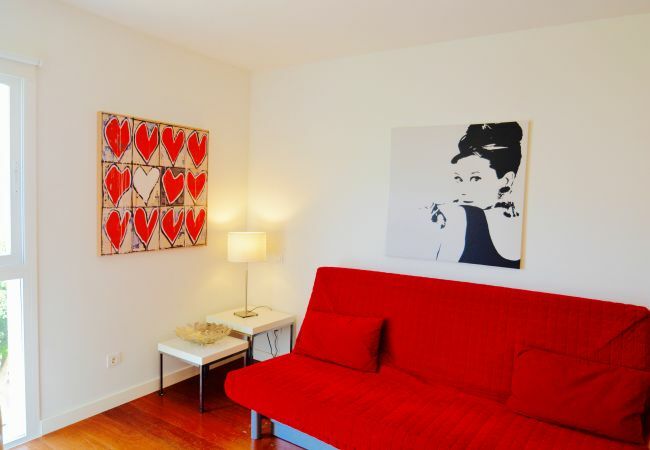 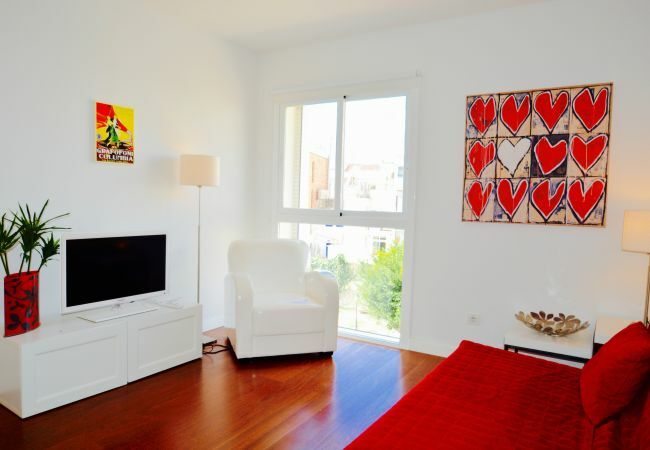 The location of this apartment in a small passageway and overlooking a park, which is closed at night, makes it very quiet even though it is in the centre of town and just a 2 minute walk to the main Sitges beaches. 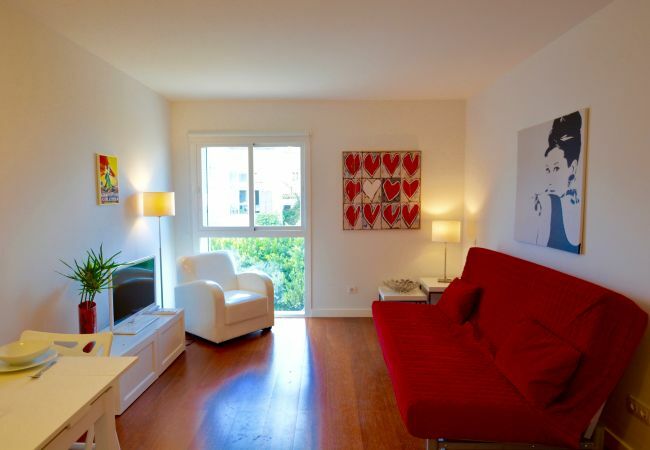 There is air conditioning throughout the apartment. Perfect for a couple, this apartment also offers great value for a group of 3 or 4 using the sofabed. 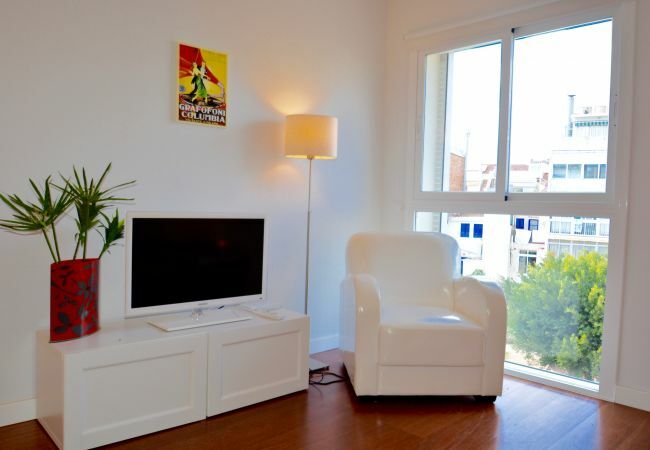 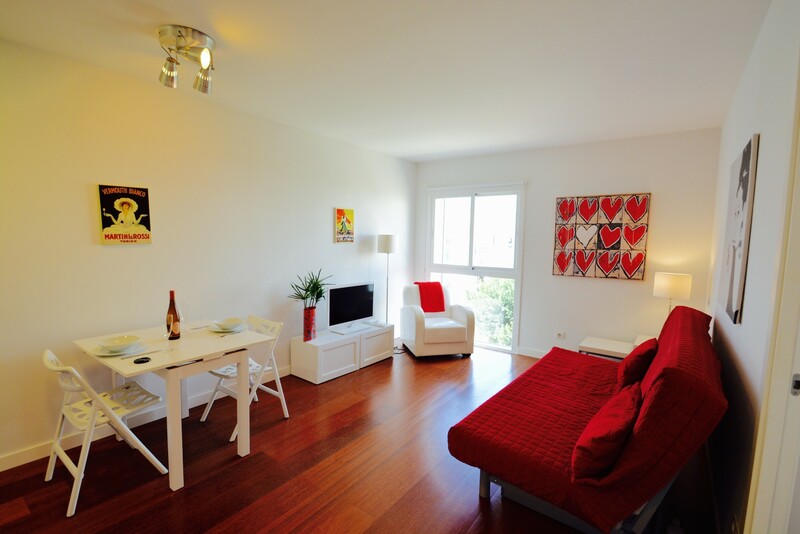 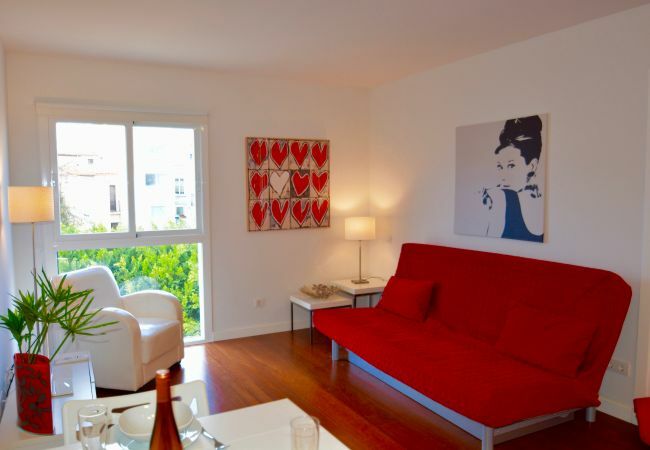 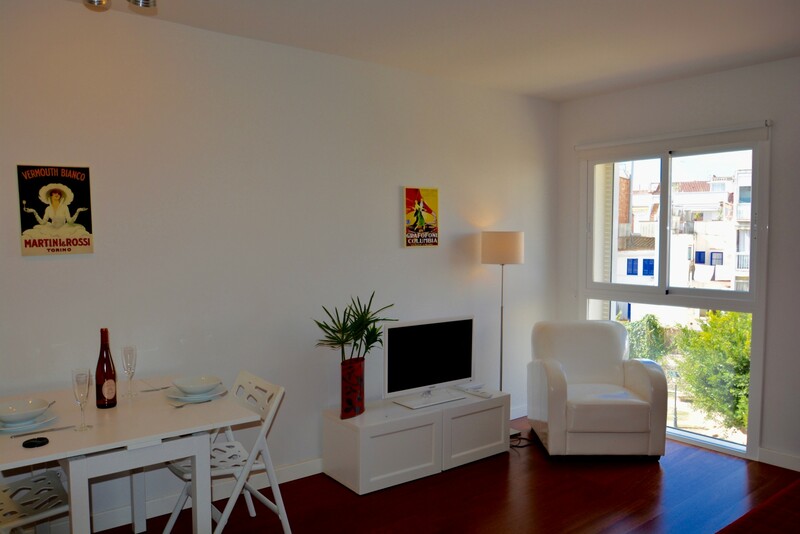 - 1 TV, DVD, 2nd floor, lift, iron, internet (Wi-Fi), hair dryer, 46 m² property, air conditioning throughout the house. Très bel appartement, jolie décoration et très bon service de l'agence. 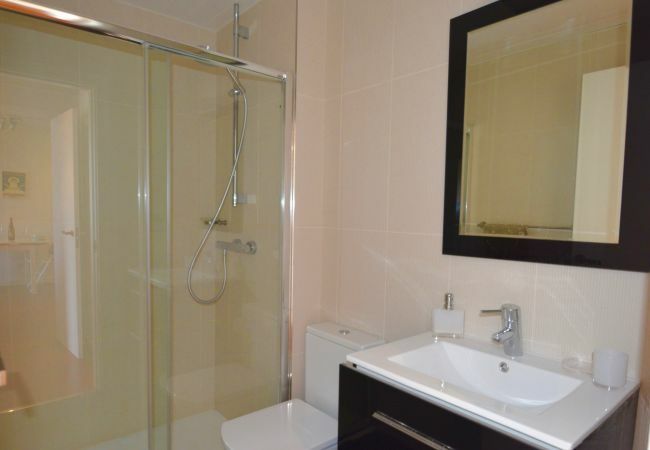 Ce fut un séjour merveilleux. it gets 10 out of 10!